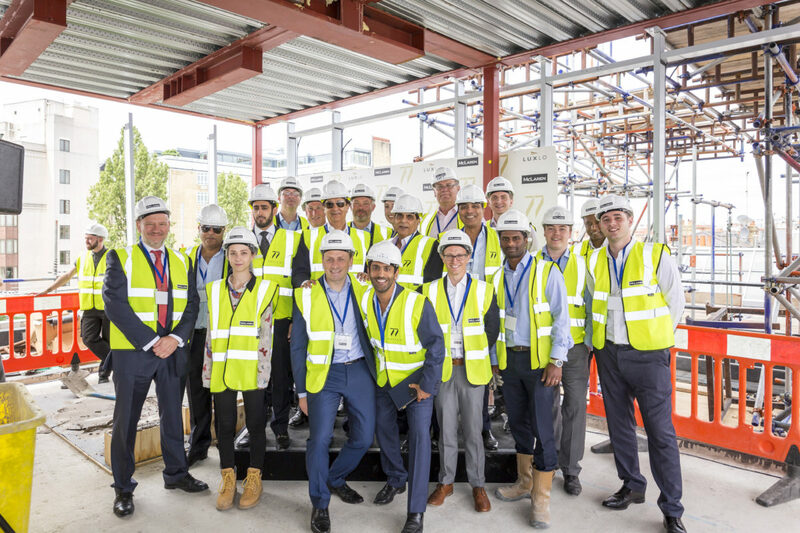 Held at 77 Mayfair on the 5th floor penthouse, Rob Kremis, McLaren’s Divisional Director, invited Mr Chadha on behalf of Luxlo, Tim Gledstone, on behalf of Squire & Partners and Michael Morley on behalf of Coutts, to “trowel-in” the final piece of concrete. The ceremony is an important milestone on the route to the project’s completion in June of next year. It has been a challenging project in many ways, taking 21 months to excavate down almost 4 storeys and then come back up to roof level.